We were shopping at the Towne Center yesterday when we saw the coolest planters in a shop. 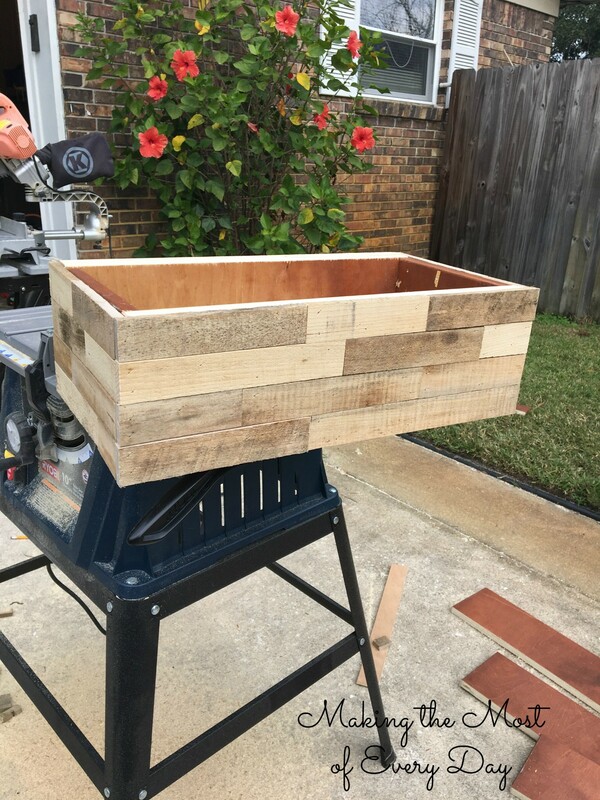 My mom snapped a picture of it and the next thing I know, my dad is making some with the leftover wood from the pallets when he made me a pallet tree and planters. He used scrap plywood (a table top that someone was throwing out) to make a box. You can see some pieces of that wood on the ground. Then he cut the scrap pieces of wood to the same width. The he cut some into different lengths, measuring the last piece so it would be flush. He nailed the sides before doing the front. He sprayed the one he made for my mom with some spray shellac which seals it for outdoor use but mine he left plain. I think I’m going to use it as a window box in the dining room to hold herbs in pots. I love how rustic it looks and I especially like that he used up some “junk.” Reduce! Reuse! Recycle! 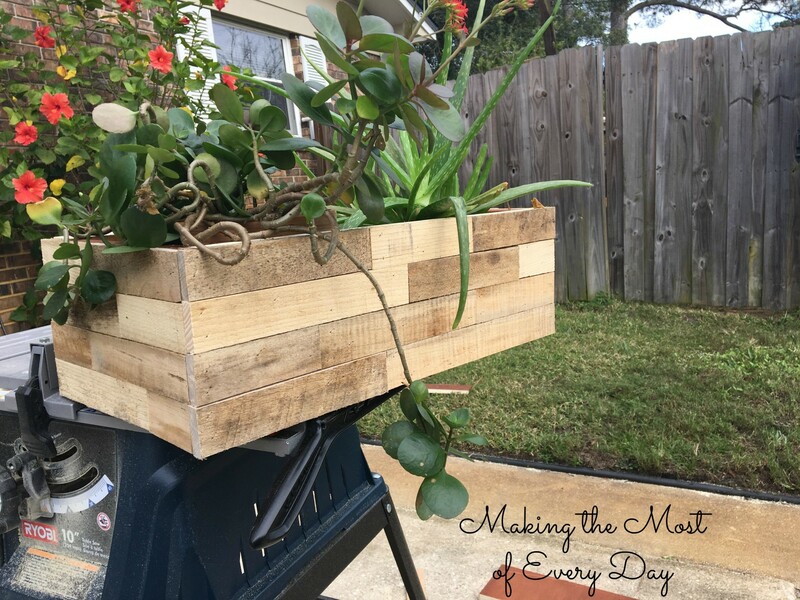 We always have pallets lying around – I’m going to try this! Pinning and sharing! Yay! Share your when you do! I’d love to see it! Brilliant! 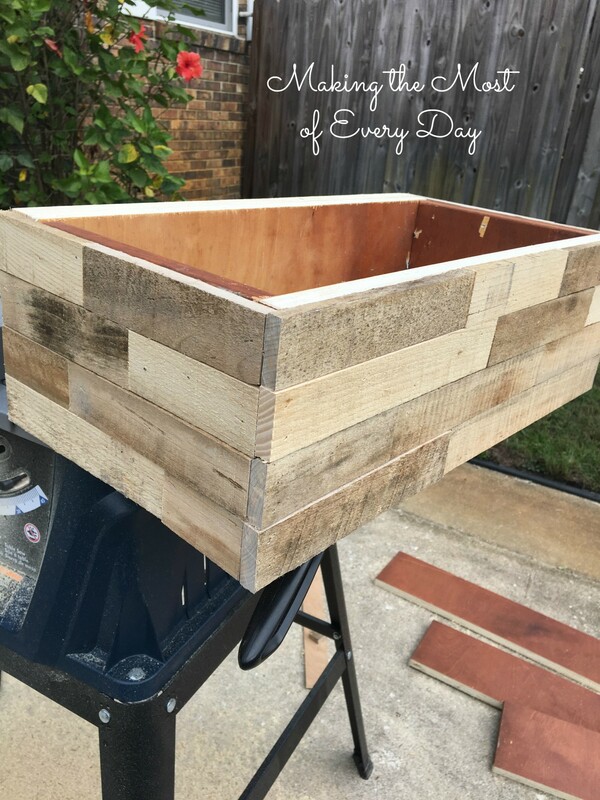 We currently are using tons of pallets as a path around the pool, but I will definitely repurpose them into planters now! Great idea!